Whether they're heading to the slopes or finding their way across icy streets, the Kid's Skiway Snow Boot provides reliable defence against the wet and cold. 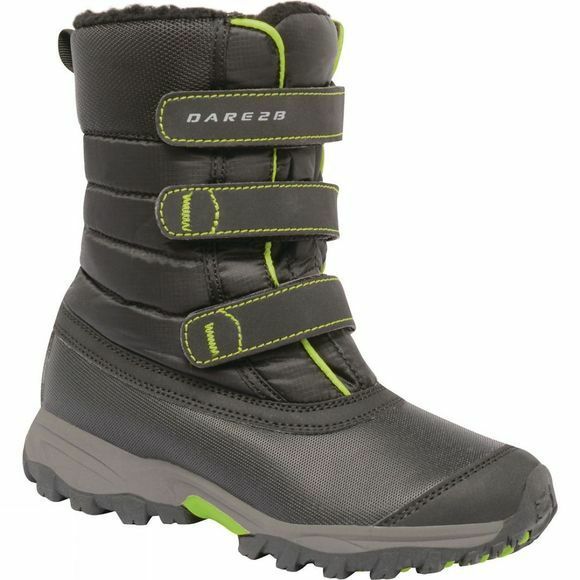 The upper uses a combination of tough-wearing rubber and lightly quilted showerproof fabric. Feet are kept warm and secure with a soft microfleece lining and three hook and loop straps. With a grippy winter tread.